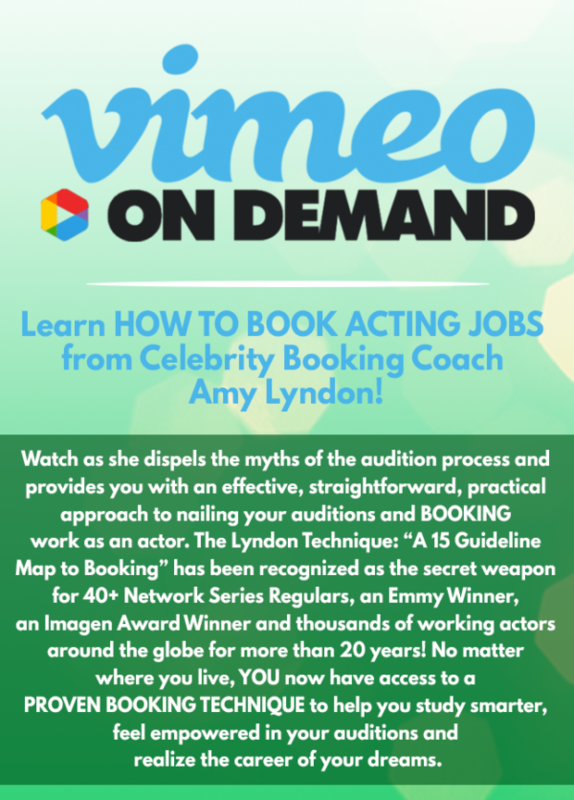 BREAKING INTO THE ACTING BUSINESS – Over 3 hours of content! 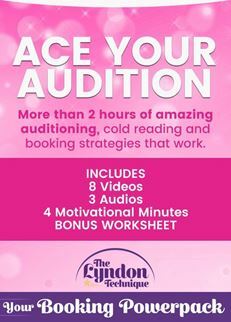 In BREAKING INTO THE ACTING BUSINESS, I teach you how important it is to see yourself as the people that hire you do: as a moneymaker. 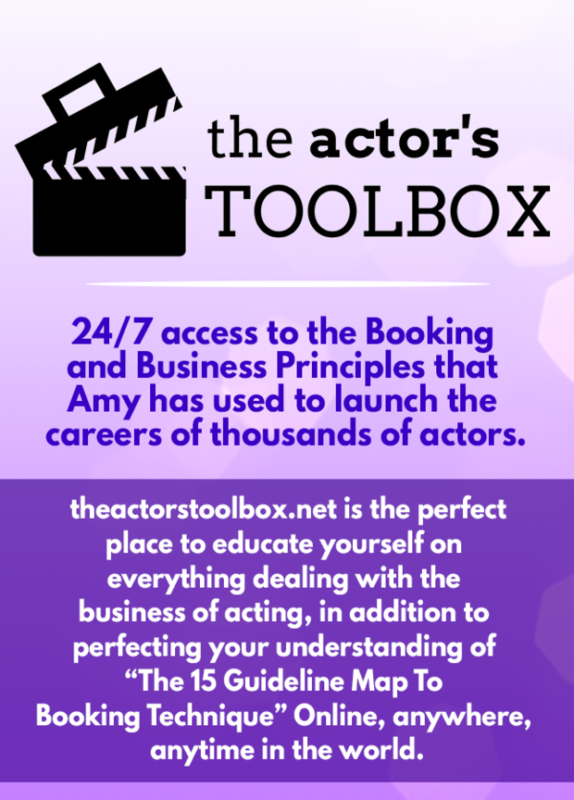 That means you have to be clear what your acting “brand is,” how to market yourself, why your competition matters and goal-driven ways to make sure that what you’re doing as an actor isn’t a hobby… it’s a business with a singular bottom line: BOOKING. 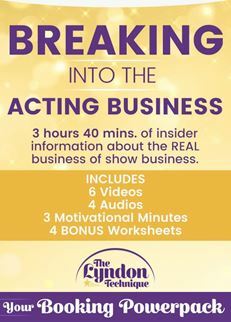 Over 3 hours, 40 minutes of insider information all about the REAL business of show business, with solid advice and results-oriented exercises designed to help you to think and act like the CEO of your career and break into the biz like a pro. 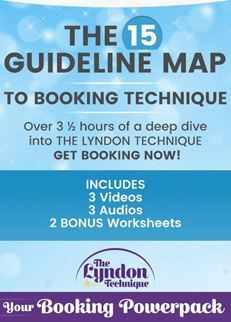 If you think your work as an actor is only about performance, then you are missing the most important aspect of being in show business – the business part!